The new Mini Footboard Kits ($199.95) from Harley-Davidson® Genuine Motor Accessories® replace traditional footpegs on many Harley-Davidson models to enhance foot support and offer more boot-position options and comfort on long rides. 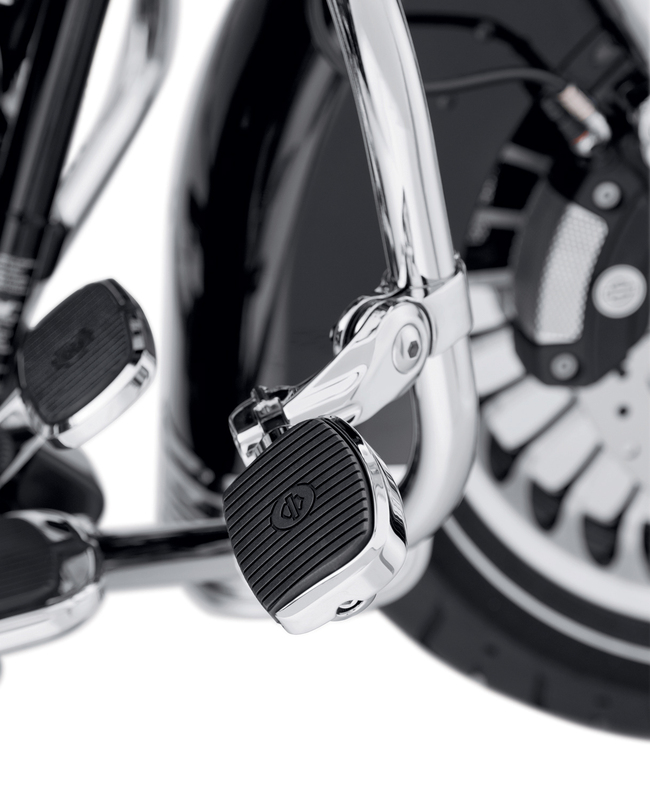 Available in two sizes and in chrome or gloss black finish, Mini Footboards mount to the standard H-D® footpeg supports and can be used in many rider, passenger and highway peg applications. 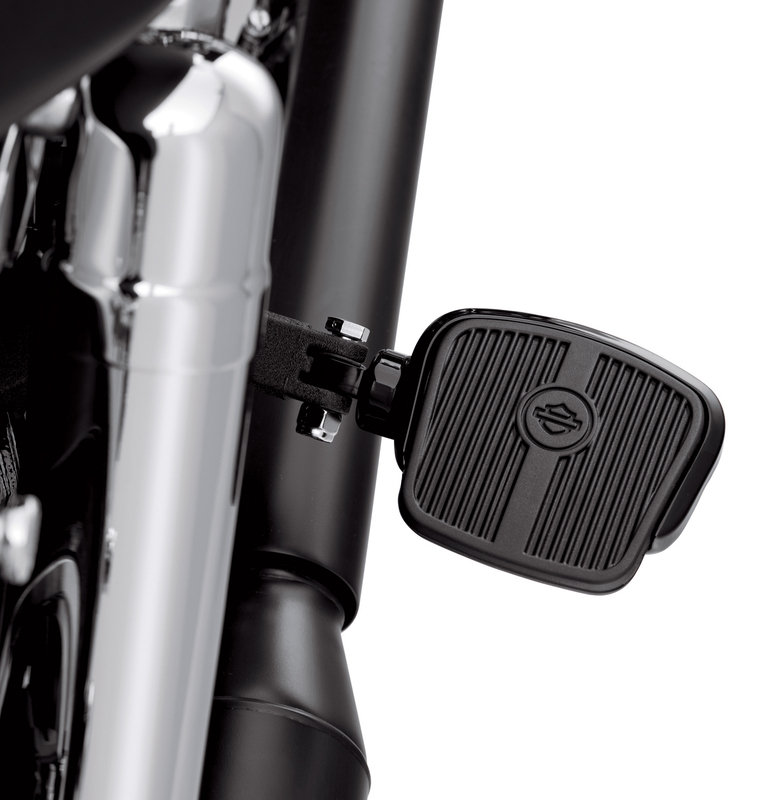 The sole-gripping rubber pads complement Original Equipment or accessory footboards and footpegs, and provide vibration isolation. Mini Footboard Kits are offered in a Small (three-inch) size: P/N 50500139 Chrome and P/N 50500144 Gloss Black; and in a Large (four-inch) size: P/N 50500109 Chrome and P/N 50500124 Gloss Black. 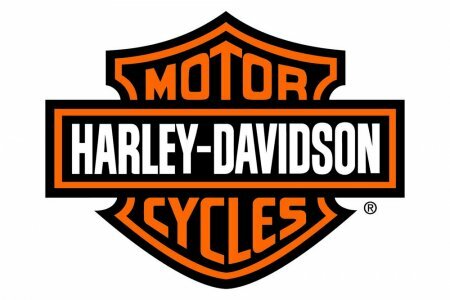 Each fits the rider and passenger positions on many Harley-Davidson motorcycle models. See an authorized Harley-Davidson dealer for fitment details or www.h-d.com.